Simon W Rosenberg DMD, Dentist, New York, NY: I have a small Manhattan office with not much space for inactive records. After two years of inactivity, we use PCArchiver to scan the charts and store them offsite. We also scan the EOB’s of active patients when they make the charts too thick. With PCArchiver, it’s a snap to pull up their old chart, print it out and make up a new chart adding only the new forms needed (HIPAA, updated medical history, etc.) What is equally great is that we have all the “old” data such as materials used, shade/color specified for restorations, clinical description of oral conditions, etc. One last point: We are within 2 to 5 blocks of several major NYC hospitals and our patient base is filled with medical staff who train here and move on after several years all around the country and beyond. When that happens, it is simple to scan the chart and transmit the multipage TIFF file to their new dentist in their new home town. Support: Excellent. Mark Gaughan, MD, Dermatologist, Durango CO: We have scanned nearly 35,000 charts to date and are currently scanning all new patients directly into PCArchiver and appending any new encounter notes. Most of the scanning has been done by part time high school students, but our regular staff has been doing appending of notes to already scanned charts. 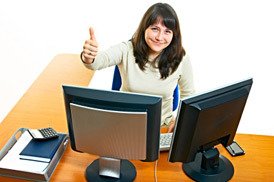 The tech support has been outstanding with any questions answered usually within minutes. We also receive frequent e-mails with hints to increase our productivity or utilize all the features of PCArchiver. We have overall been very pleased with PCArchiver and would recommend it to anyone looking to electronically archive paperwork. Louis Weinstein, MD, Ophthalmologist, Commack NY (commenting on PCEncounter): I have found PCA-Encounter to be a simple way to enter the world of electronic records without having to change my usual charting methods. It has been seamless, except for the scanning, which would be true with any system. Jay Sloop, MD, Ob-Gyn, Yakima WA: Medical records are the bane and blessings of medical practice. Five years ago I was introduced to PCArchiver. At that time I had stacks of OB-GYN records dating as long as 30 years old and to the present. We used PCArchiver to put all this paper on to one computer. That has been the smartest move I have made in a long time. Where else can you get such a payback for a small investment! Support has been great. Rafael Fernandez, MD, Orthopedic Surgery, Miami FL: Good support. Easy to use! Norman Lockshin, MD, Dermatologist, Bethesda MD: We scanned over 7000 charts over the summer and we continue to pull and scan charts on a weekly basis.The system and support have been superb. Ranjit Mathew, M.D., Gastroenterologist, Athens GA: I am able to scan and get it seen in PCA10. I am really excited about emptying one of my rooms. You have a wonderful program and the help you have provided has been excellent. I plan to show it to my colleagues and I am sure you will have more orders. Jane Chew, MD, Dermatologist, Ellicott City MD: PC Archiver is great for the environment! Since scanning our old charts, we can reuse the chart covers over and over! We never plan to buy new charts again! Support: Excellent. Richard Valentine, MD, Ob-Gyn, Virginia Beach VA: We started scanning in 2006. PCArchiver is straightforward to use; retrieving or printing patient's medical records who return to our practice is simple. The system is located where our staff can access the records without difficulty. We have scanned and archived more than 10,000 records using students. We gladly recommend PCArchiver . Aileen Webb, Ophthalmologist, Nashville TN: We have enjoyed using your PCArchiver program. It has allowed us to feel free of paper records as we transition to an EMR program. It has also allowed us to scan and index old inactive patient charts so that our office can be completely paperless. Transitioning to paperless records is not an easy task, but thanks to PCArchiver and the great Technical Support, it has been easier than we anticipated. I would highly recommend this program to anyone looking to go paperless. It is very efficient and easy to use. Support: Excellent. Jay Sloop, MD, Ob-Gyn, Yakima WA: Our scanned records have made it possible to get records from many years past for present use immediately. Thanks to your program. Support: Excellent. Steven Emmet, MD, Dermatologist, Solana Beach CA: It is Superb! It installed easily and when we had a few questions, in the beginning, Stan was either on the phone or fired off a quick e-mail telling us how to do what we wanted to do ... really wonderful support ...It's quite easy to use and has enabled us to clean out several filing cabinets, giving us more free space, and the records are easy to find! Highly recommended. Christopher LoPresto, MD, Ophthalmology, Tampa FL: I find retrieval of information and modifications very easy to do. Once info is entered, it will make our old record storage problems vanish. Support: Excellent. James Fairfield, MD, Dermatologist, Lansdale PA: We use PCA to scan all our inactive charts (>20,000). We only have a set space for active charts and every year we go back two years and purge our charts. This way we don't have to increase our space to hold charts. PCArchiver is very simple to use. We hired a 16 year old to scan our charts one summer and he had no problems learning the system. When we need to retrieve a file, it is very easily done. You go into the system, find the correct client and print it out. You can also print just the sheets that you need. PCA is a great system. Support: Excellent. Kevin Harper, DDS, Dentist, Clarksville IN: I have been using PCArchiver for about a year now. I have been very pleased with the software. I was in a situation where I was going to be forced into purchasing additional storage for retired records. I have inherited a practice from my father and brother and all the records over the last 54 years. I easily trained my high school aged daughter to scan the records and input all the information in the computer. She was able to complete the job in one summer. We can now easily find the records for patients who return to the practice. Plus, I was able to use valuable space for something other than storage cabinets. We have been surprisingly pleased with what PCArchiver has done for our practice. Mark Koone, MD, Dermatologist, Sherman TX: : Our clinic had over 30,000 inactive charts, purged from the active charts because of inactivity over the past 10 years. We had a somewhat chaotic storage area in a room in the back of our building for these charts. If an old patient came in, it would often take 30 minutes to find their old chart, and the employees sent to look for the chart likened it to being “banished to the dungeon.” We hired a high school student last summer who scanned these records. The 30,000 records take up slightly over 2 GB of hard disk space, which we back up to an external USB hard disk any time new charts are added to the archive. If an old patient comes in we can produce and print their old record with the push of a button. There’s rarely a reason to visit the “dungeon” anymore. Peter Goodkin, Dermatologist, Clackamas OR: In 2 years we scanned over 20.000 charts and EOB's and could not be happier. System is awesome and support - exellent! Just want to thank you for all help and understanding that you offer during our countless conversations. Steve Quimby, MD, Dermatologist, Normal IL: Just wanted to let you know that PCArchiver is working well for our office. We are able to access archived records conveniently as inactive patients reappear on our schedule. We only keep as many records on site as we can easily store. (About 4 years worth right now). We are also scanning EOB’s on a daily basis no need to keep all that paper around either. Works great! thanks again. Support: Excellent. Maida Burrow, MD, Dermatologist, Grand Junction CO: I do not have to pay a storage unit for storing the charts. We shredded the original records so that paperwork is gone. We are recycling the manila chart holders, so have less office expense buying new manila folders. The support is right there with you all the time. Great system. David Walsworth, MD, Dermatologist, West Monroe LA: I just got back from my 2 weeks in Hawaii, and the staff has scanned about 2000 charts so far. They feel very comfortable with it. Clyde Nolan, MD, Dermatologist, Greensboro NC: I have been using PCArchiver for several weeks now. I use it with the Fujitsu fi4110 duplex scanner to archive patient charts. Having investigated several systems in the $5,000 to $10,000 range, I find that PCArchiver works effectively, simply, and reliably at a very reasonable cost. Of course, one could accomplish the same thing using Paperport but the ability to scan directly into the application is well worth the added cost. It is wonderful to regain shelf space so easily. Additionally, I have created a database to archive insurance EOB’s with the included db90.exe program. Here I use the Visioneer 9650 simplex scanner. The same indexing tool works well with this database and as I see the need to change indexing fields, I can simply edit the required fields in Access. Talk with physicians or businesses about their experiences; email us for references.